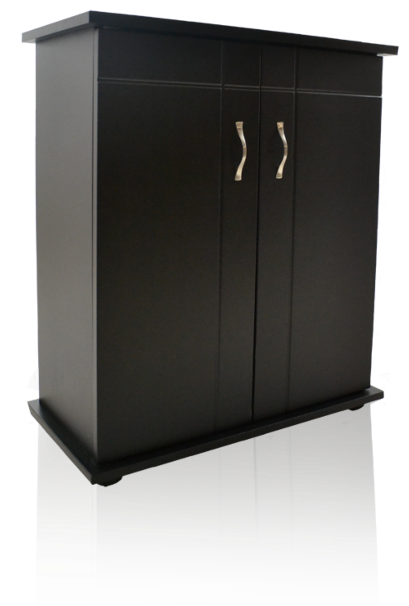 Deep Blue Professional Series I Cabinet 12x12 Black This pedestal stand features a sleek black moisture-resistant finish and sturdy metal cam-lock construction. 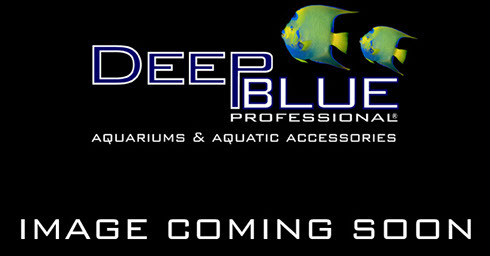 Deep Blue Professional DB Series One - Aquarium Cabinets Fits 20x10" (10R,16R,20XH) Features: Multi-door access, rear ports for electrical and filtration routing, satin finished door handles, pre-drilled for reef ready models, quality construction with moisture resistant finish, and metal locking cam assembly.  Deep Blue Professional DB Series One - Aquarium Cabinets Fits 24x12" (15R,20H,25R,30XH) Features: Multi-door access, rear ports for electrical and filtration routing, satin finished door handles, pre-drilled for reef ready models, quality construction with moisture resistant finish, and metal locking cam assembly. 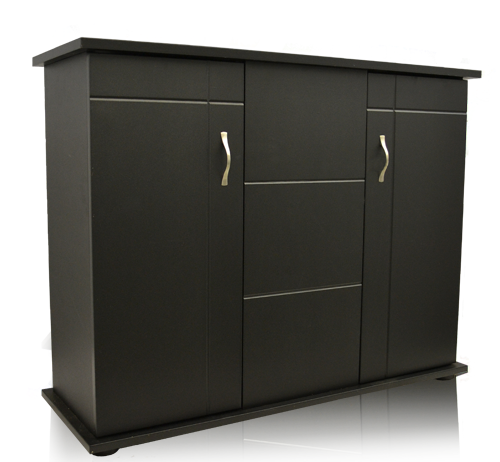 Deep Blue Professional DB Series One - Aquarium Cabinets Fits 30x12" (20L,29S,37H) Features: Multi-door access, rear ports for electrical and filtration routing, satin finished door handles, pre-drilled for reef ready models, quality construction with moisture resistant finish, and metal locking cam assembly. 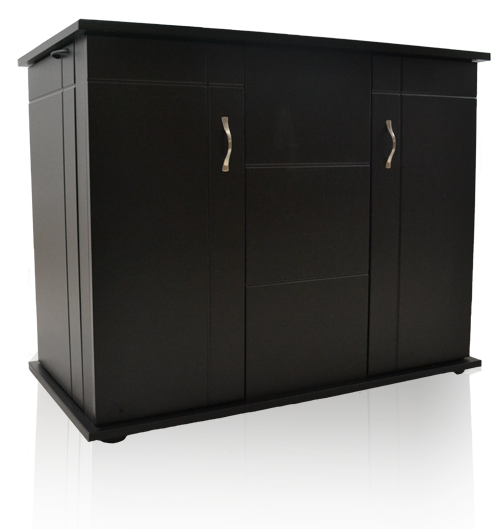 Deep Blue Professional Series I Cabinet Black 20x20 Series one cabinets feature a black textured moisture-resistant finish, satin-finish door handles. 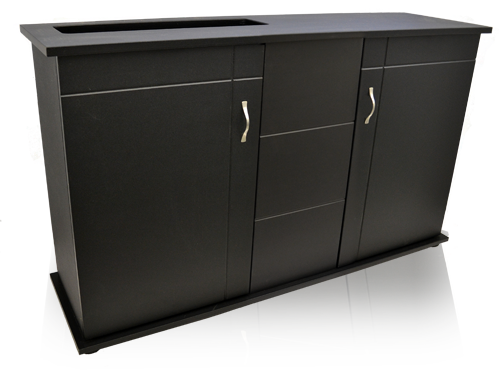 sturdy cam-lock construction, multi-door access and rear ports for electrical and filtration routing. Tops are removeable for sump installation, and tops are pre-drilled for reef-ready models. 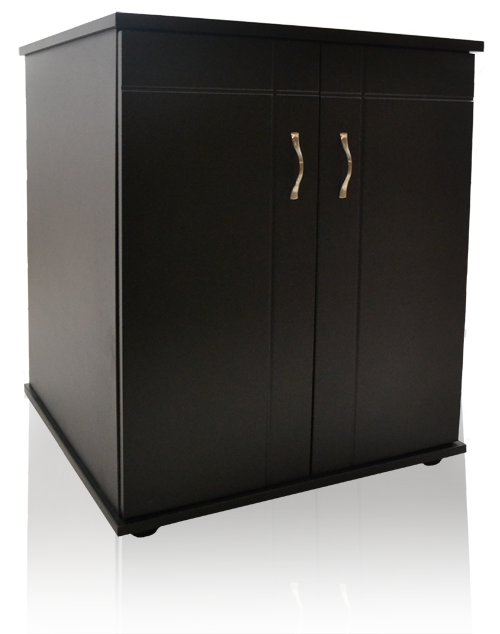 Deep Blue Professional DB Series One - Aquarium Cabinets Fits 36x12" (30R,38R,44H) Features: Multi-door access, rear ports for electrical and filtration routing, satin finished door handles, pre-drilled for reef ready models, quality construction with moisture resistant finish, and metal locking cam assembly. 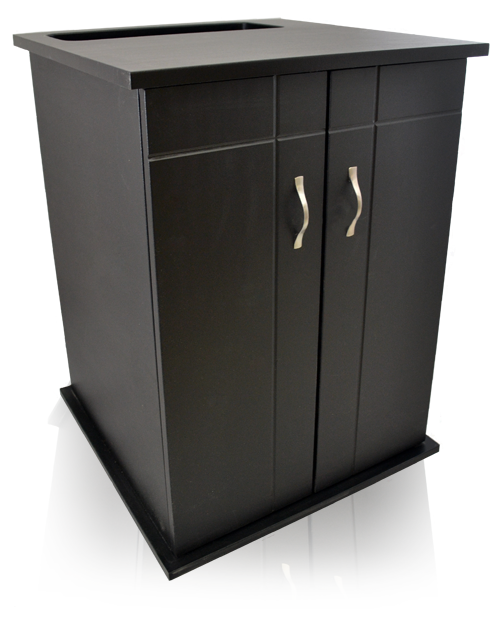 Series I Black Island-style design features double doors on both long sides. 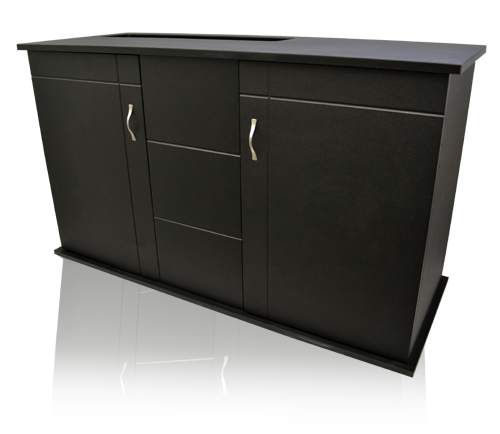 Can be placed with the end panel against the wall to allow full access to both long sides of the tank. 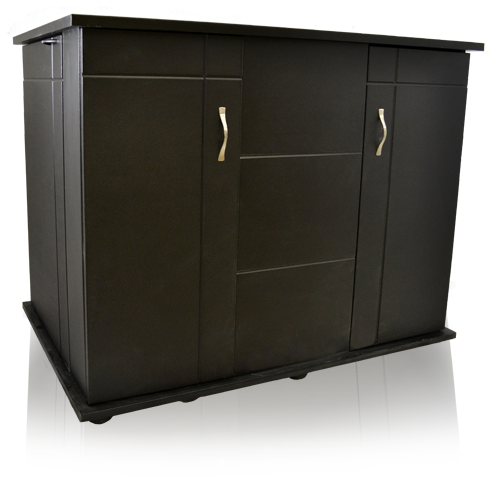 Includes a sleek black moisture-resistant finish and sturdy metal cam-lock construction. 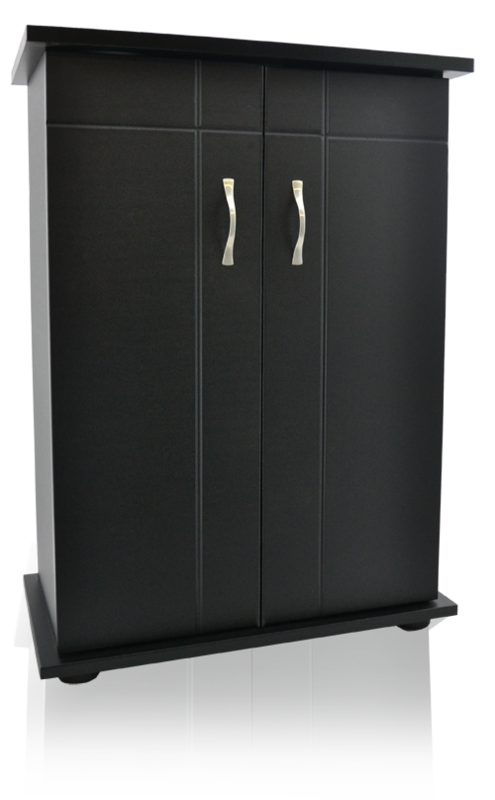 Deep Blue Professional Series I Cabinet Fits 48x13" (40E,55S) Features: Multi-door access, rear ports for electrical and filtration routing, satin finished door handles, pre-drilled for reef ready models, quality construction with moisture resistant finish, and metal locking cam assembly.